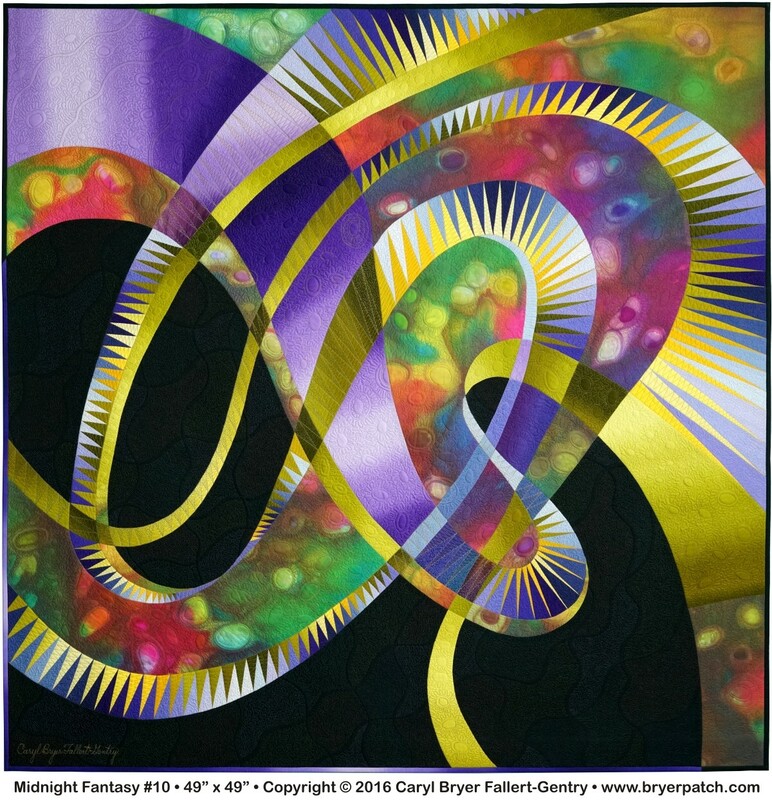 This design is a new variation on a series of sketches I drew in the middle of a sleepless light in 1999. 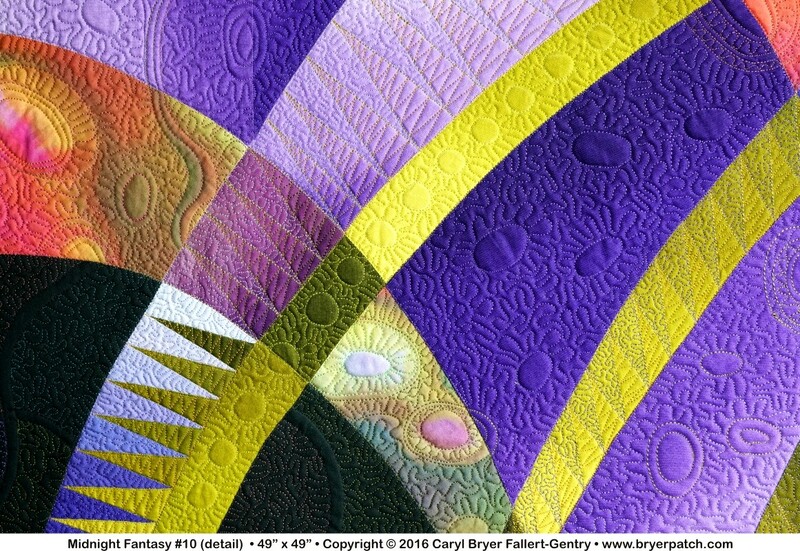 In this complex intertwining design, shapes that begin as negative spaces often become focal points as they snake across the surface of the quilt. 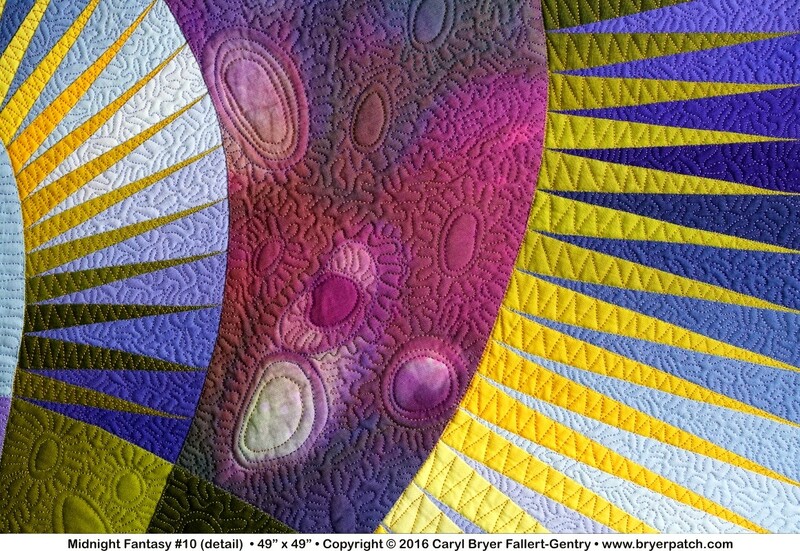 In the spikey templates I have used fabrics that were hand-dyed in gradations of blue, purple, gold, and yellow. The patterned, multicolored, background fabric was painted with dye. 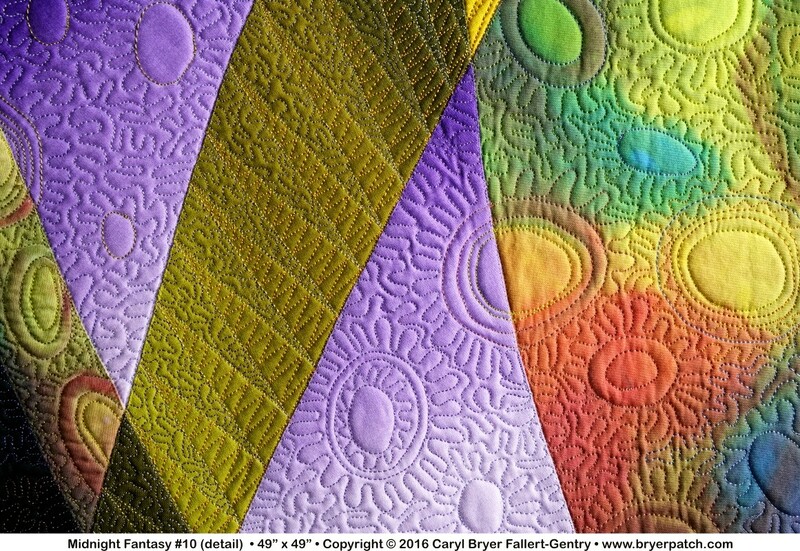 I quilted around the bubble patterns in the painted fabric with many different colors of thread, then repeated the bubble quilting patterns on some of the solid fabrics. 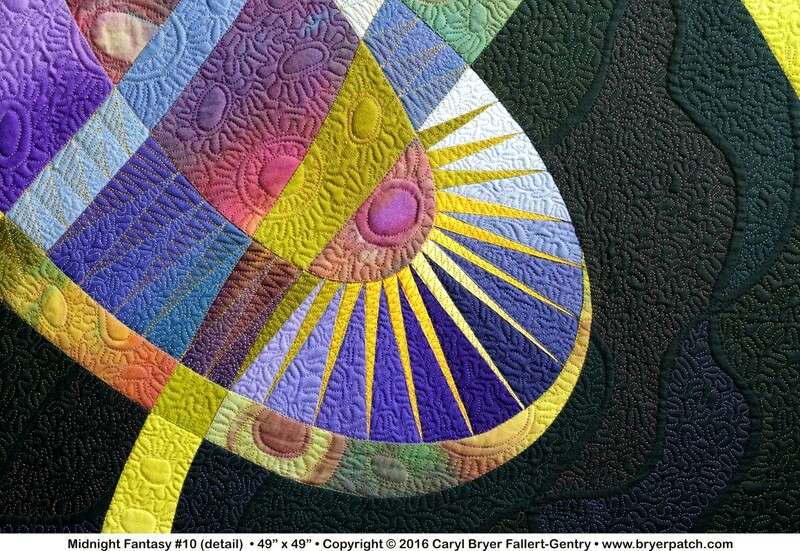 In the black background I quilted parallel wavy lines that cross every few inches. The larger spaces between the lines were heavily quilted with six different colors of thread. 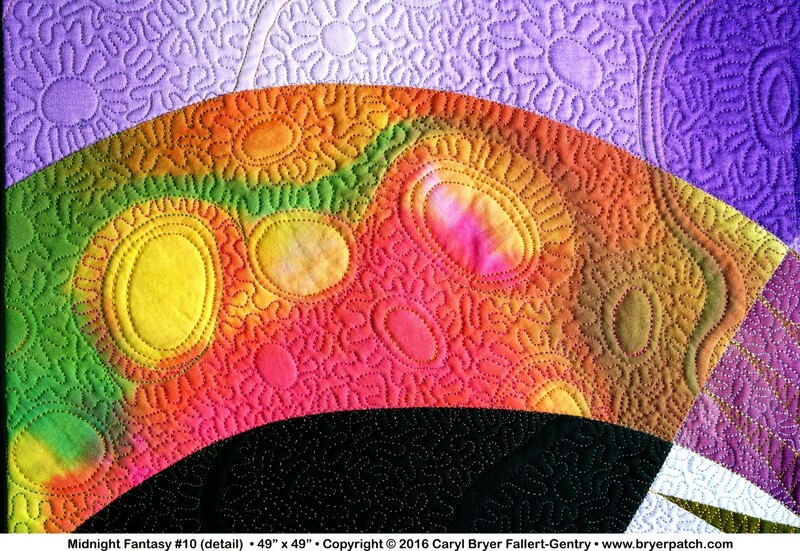 The blue and purple spikes were quilted with a small meander pattern, and the gold spikes were quilted in a zigzag pattern. 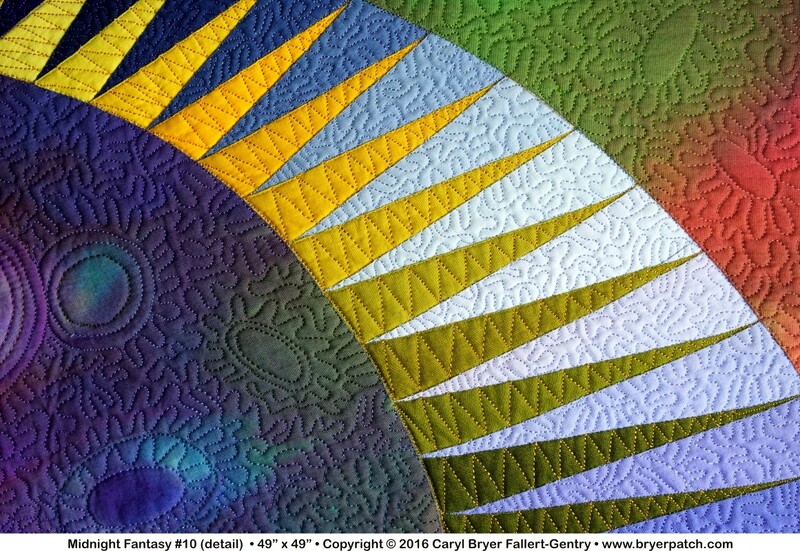 The quilting continues the pattern of the pieced spikes into some of the solid templates.